This magnificent pastel Khaki green card is made from a shimmer board material and has a beautiful die-cut door fold on the front. 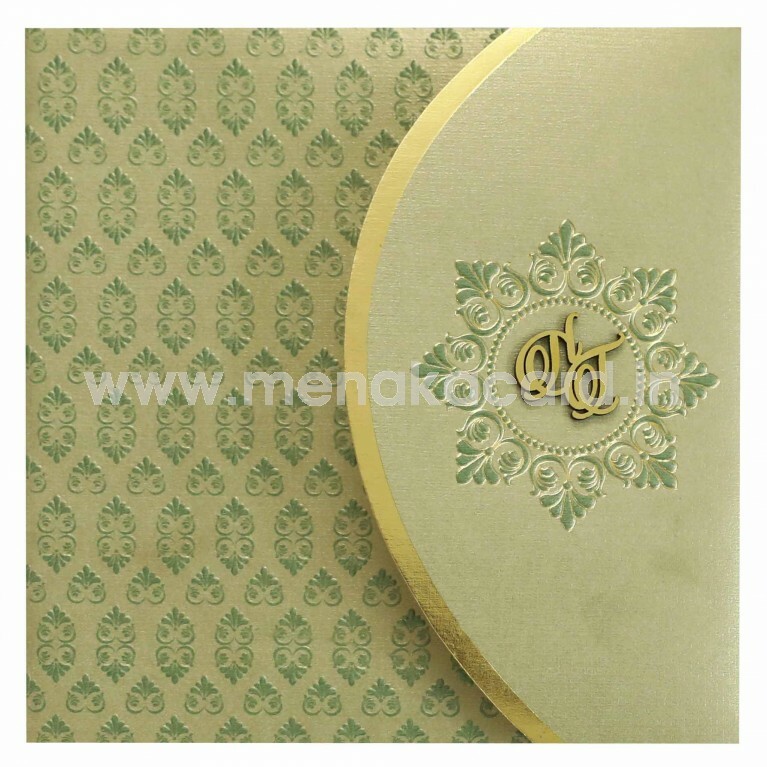 The main flap has a curved a die cut bordered with a solid gold foil border housing a floral frame embossed in green and gold for the laser cut initials of the couple. 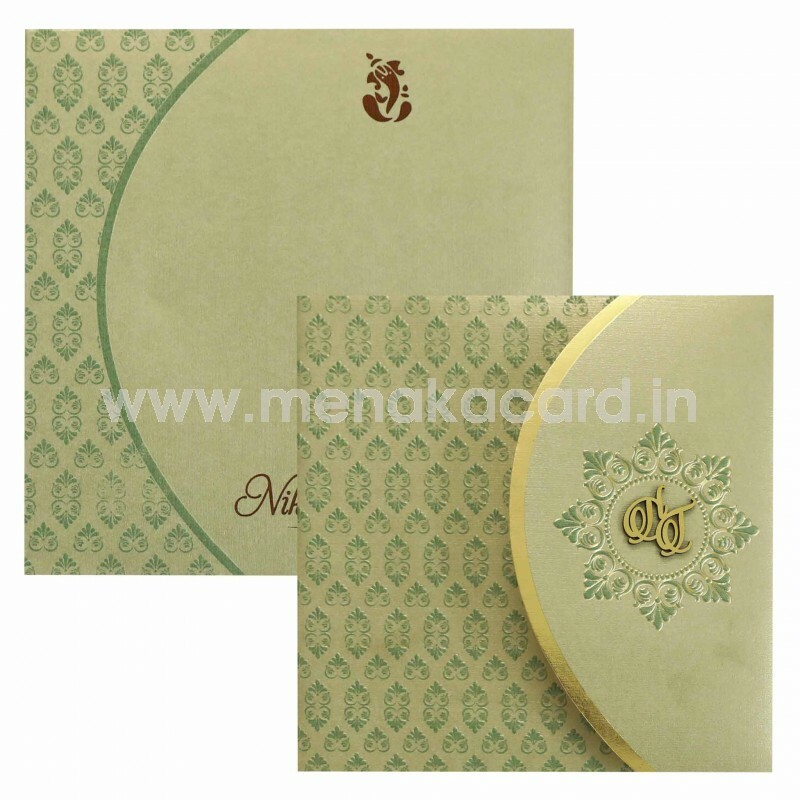 The bottom flap is embossed with a minimalistic damask pattern in green and opens to reveal the inserts inside the flap printed with contrasting ink available in 4 colours. 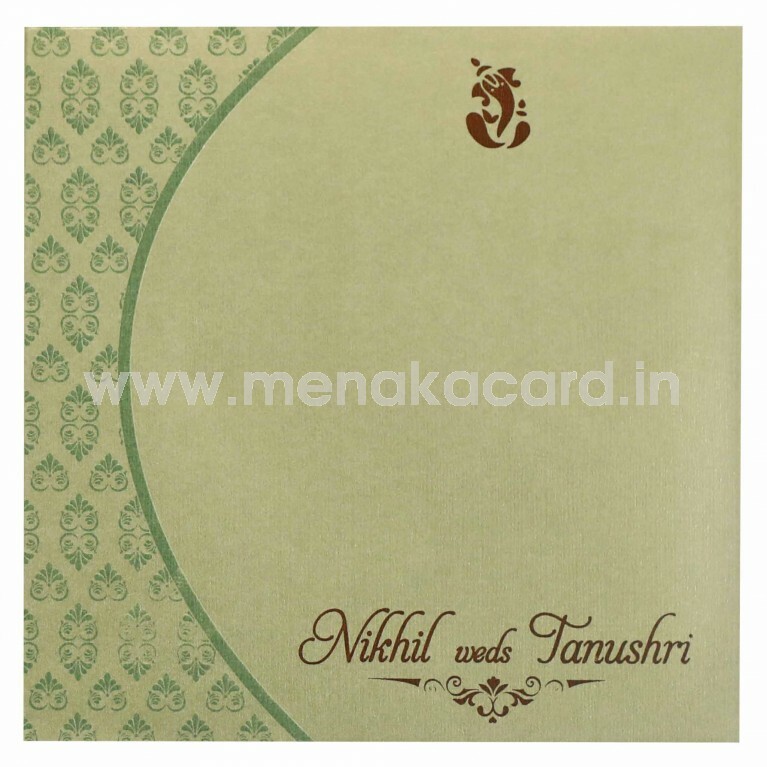 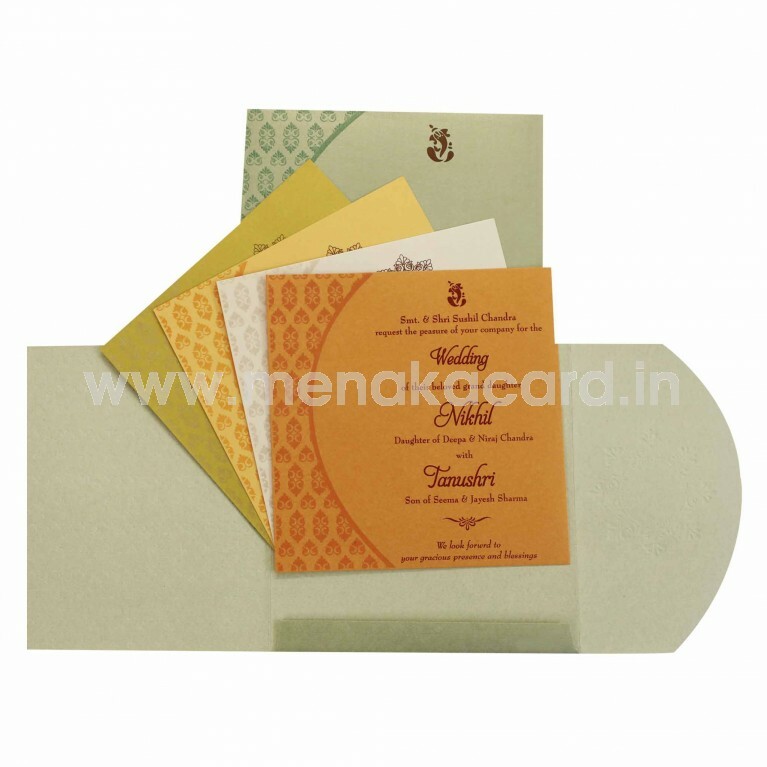 This classy card can be used for Hindu, Christian and Muslim weddings.